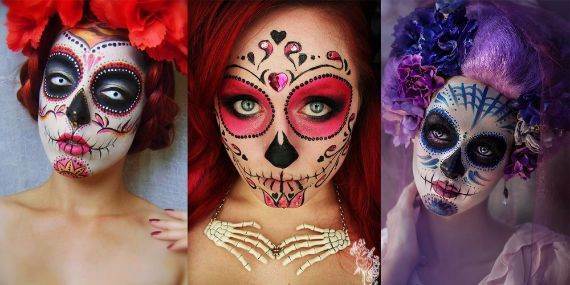 50 Halloween Best Calaveras Makeup Sugar Skull Ideas for Women… Halloween is the perfect time opportunity to be creative. 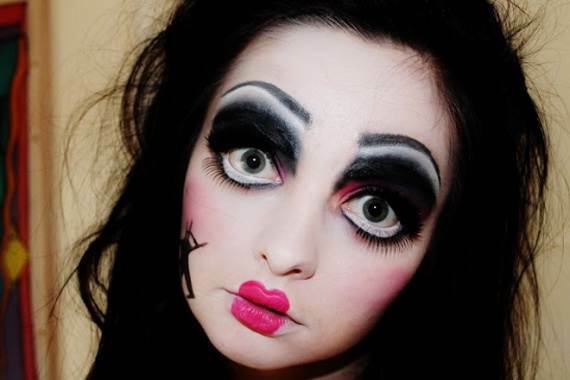 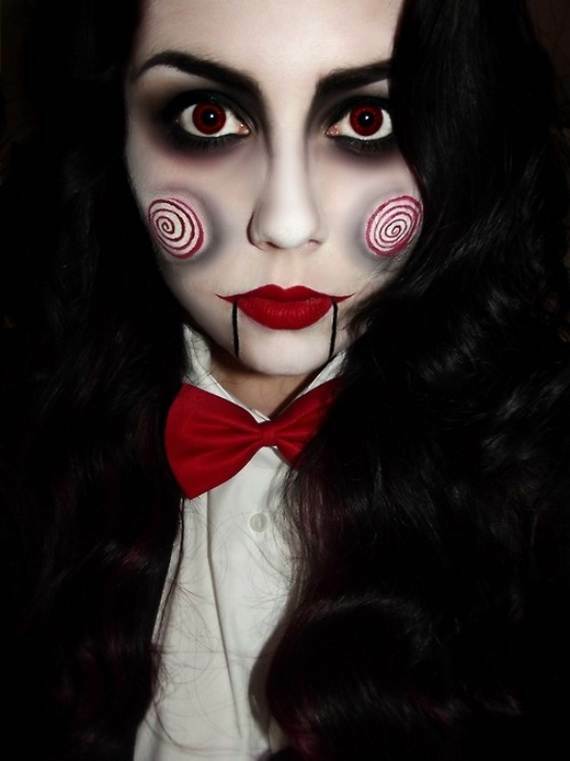 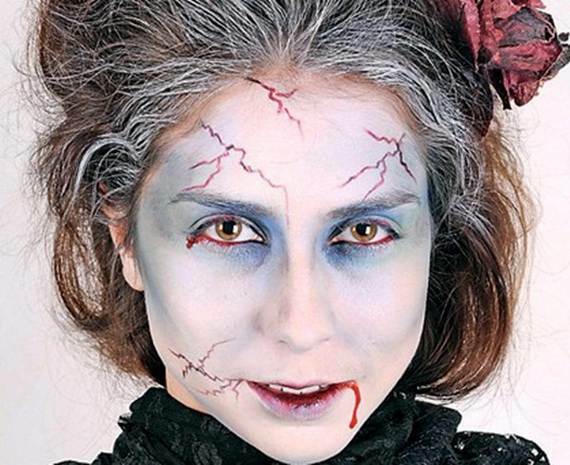 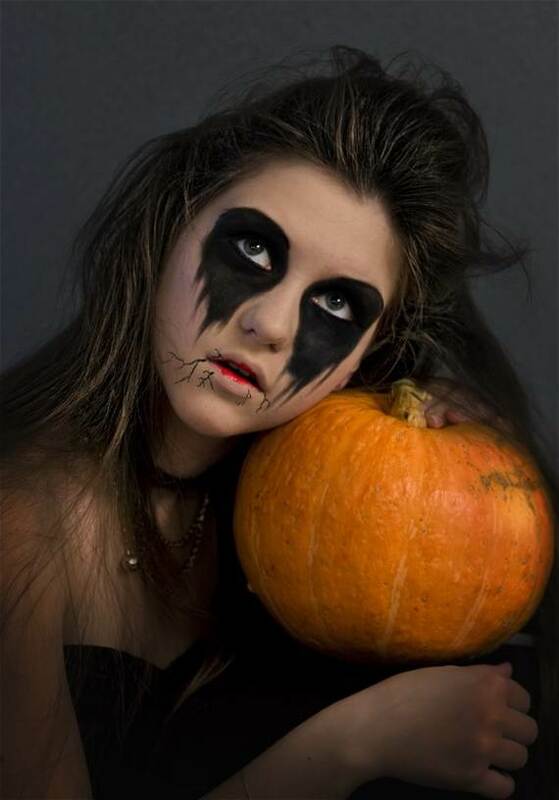 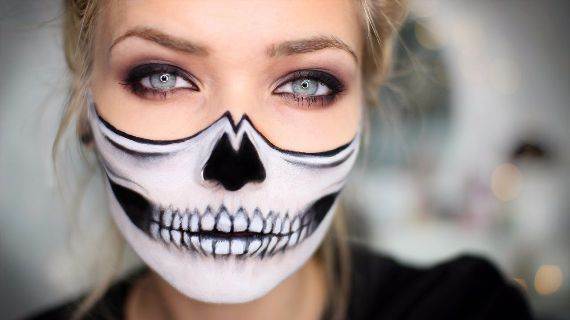 Makeup is what gives Halloween costume a real supper effect. 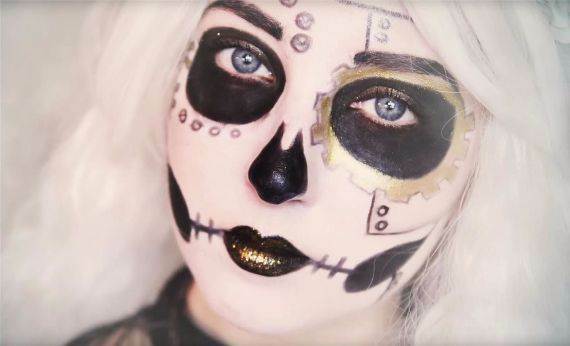 One of the most traditional, yet totally creative and cool Halloween makeup looks which was inspired by the Mexican Day of the Dead is the sugar skull makeup…A perfect mixture of spooky and sweet. 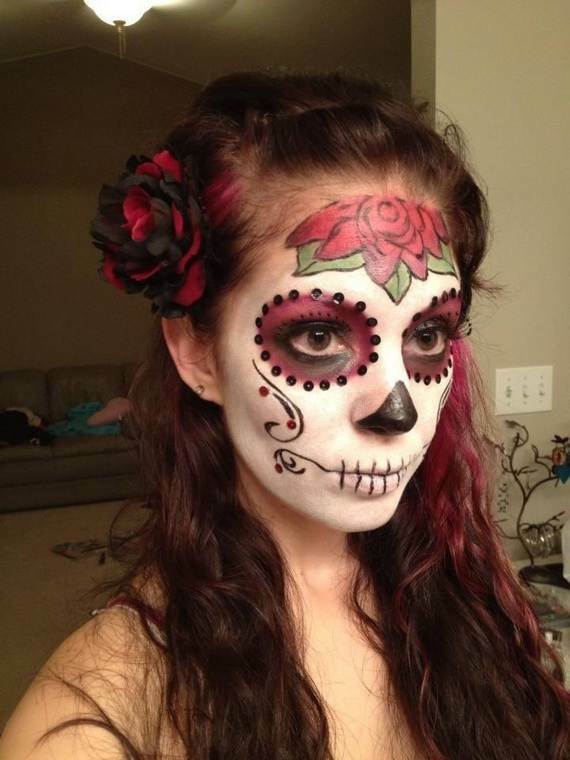 Day of the dead is that Mexican holiday and gained popularity over the last few years in use for Halloween and celebrated around the world and primarily in Mexico. 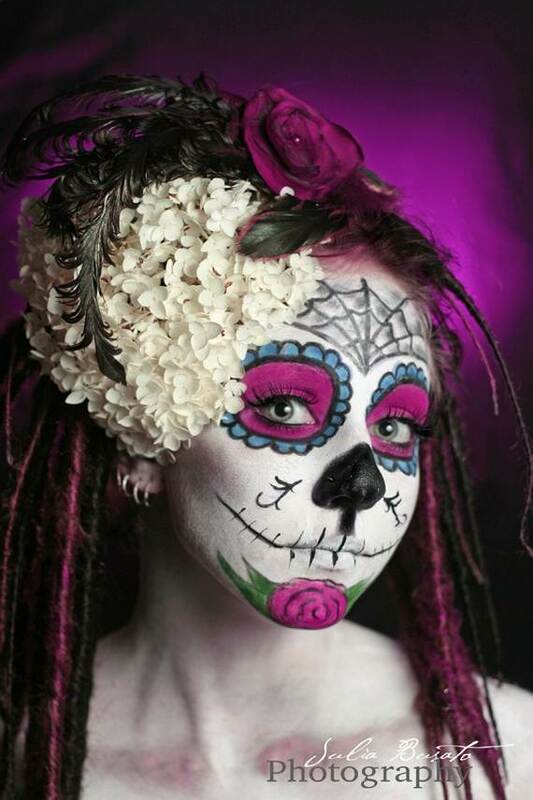 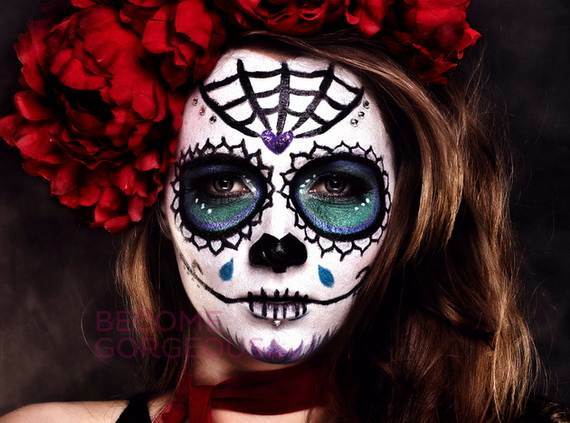 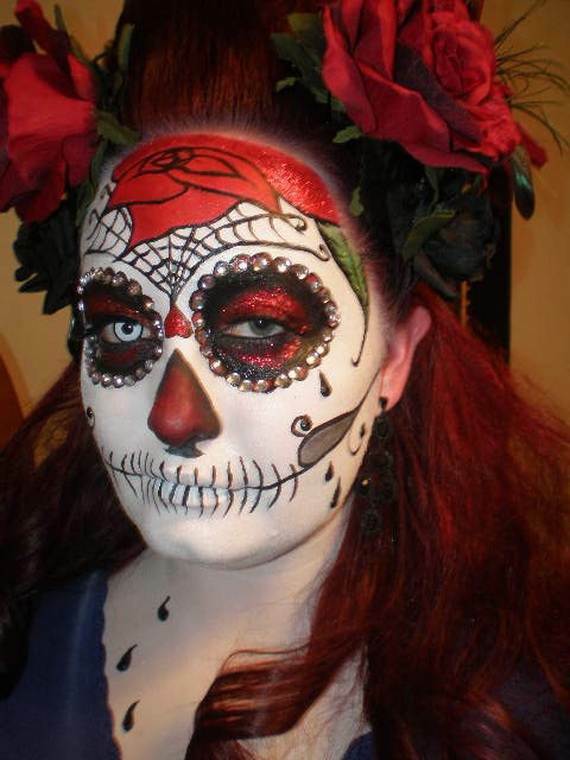 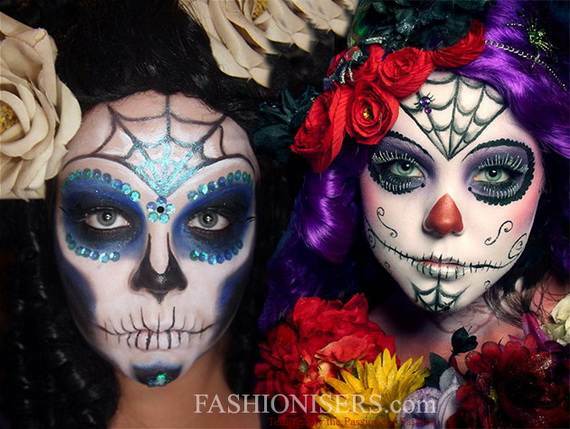 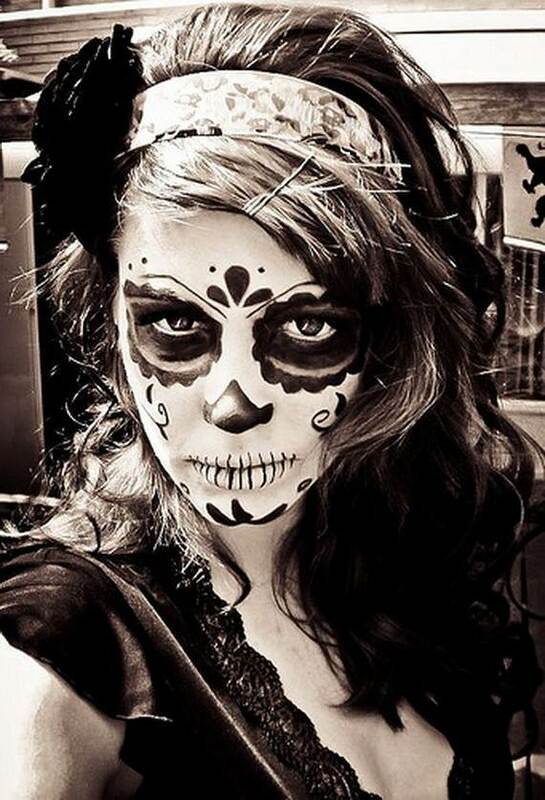 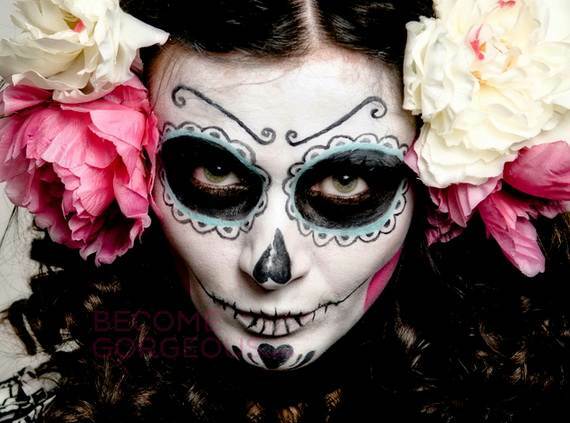 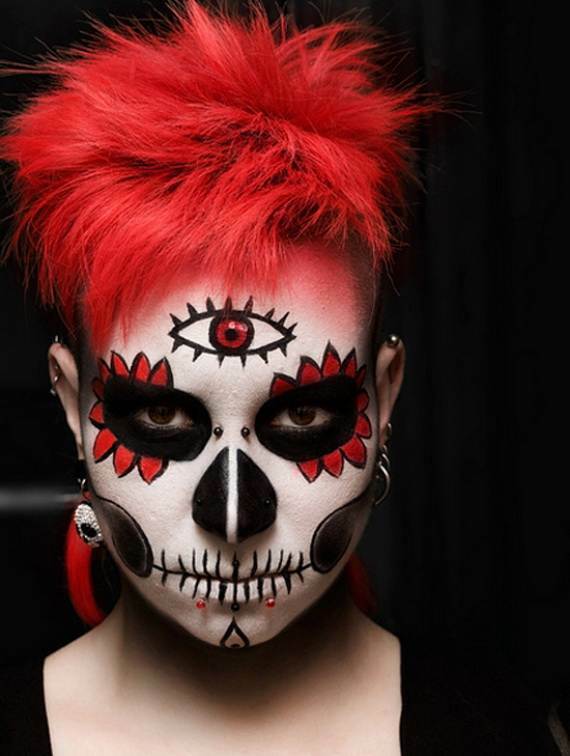 Sugar skull makeup has become increasing more popular and a very hot Halloween makeup look. 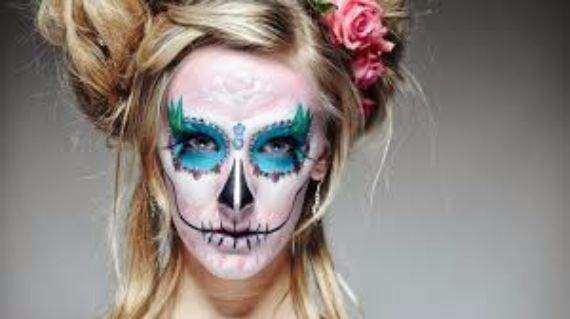 Sugar Skulls or Día de los Muertos celebrates the images of the skull and Calavera (skeleton) of elaborately designed with extravagant detail, while Halloween is not the same holiday but in some ways they are similar. 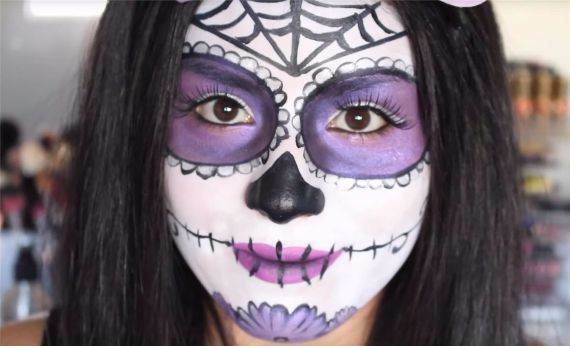 What is Day of the Dead in Mexico? 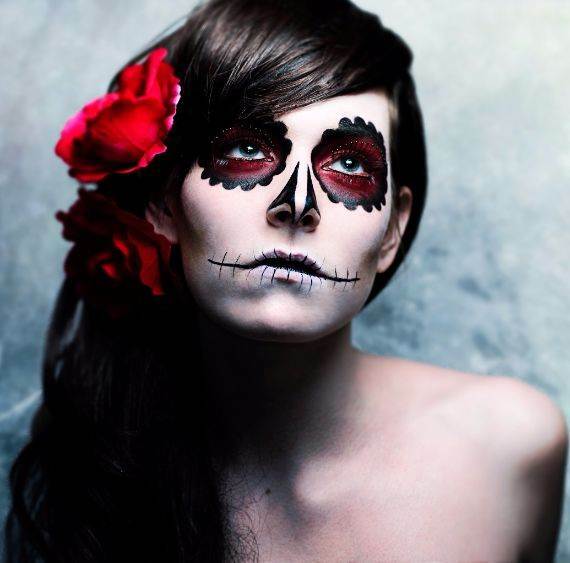 Day of the dead is that interesting religious holiday although the name it happens to be one of the favorite times to celebrate the dead ancestors. 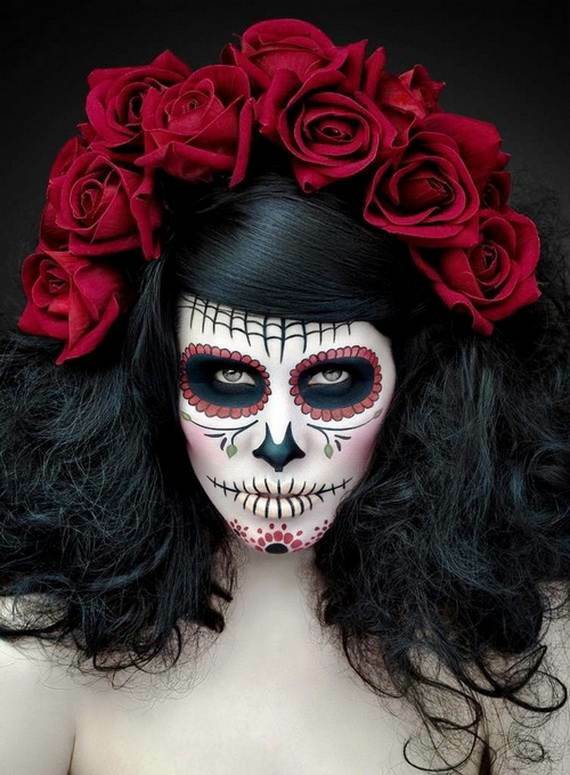 It is celebrated coinciding with All Saint’s Day and All Souls Day by large populations of Mexican and Mexican-American in central and southern Mexico during November 1 & 2 which play part in what celebrates today. 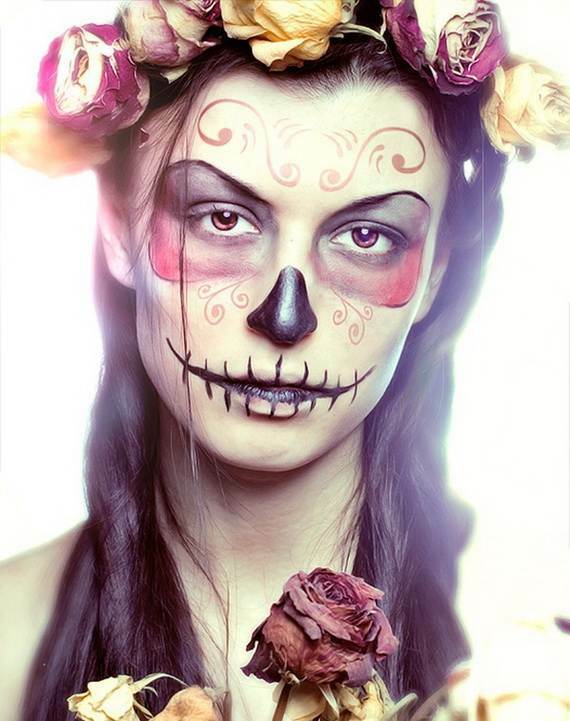 The festival was at one point a month-long traced back to the Aztecs, and a synergy of indigenous, Spanish, and Roman Catholic traditions. 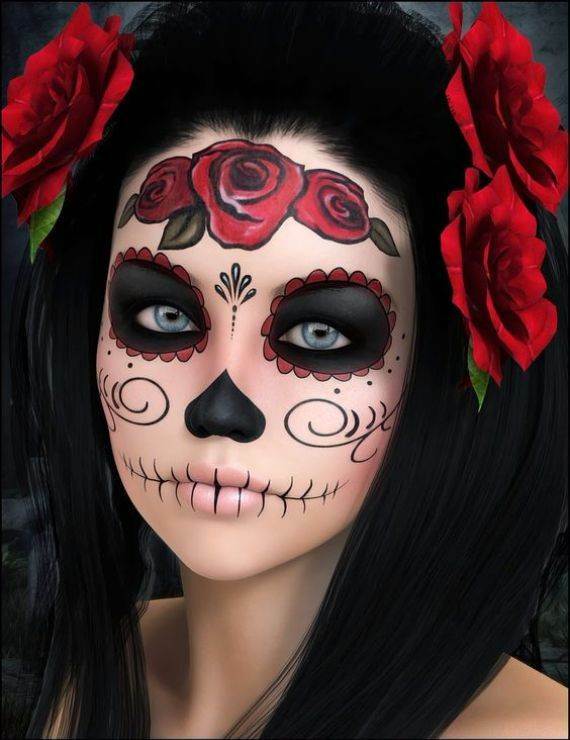 The Day of the Dead is not an ancient Mexican version of Halloween it is a Life & Death Festival not a day of sadness; it is celebrated in a colorful and carnival atmosphere. 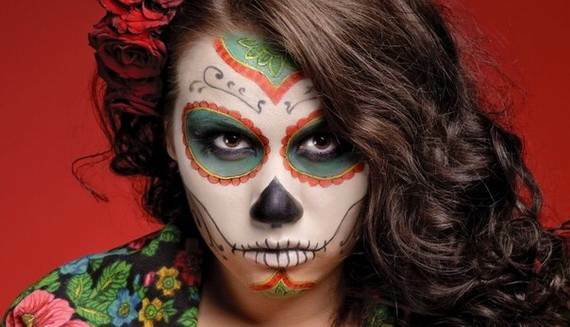 It’s a day when Mexicans celebrate the continuation of the life cycle while remembering their deceased loved ones. 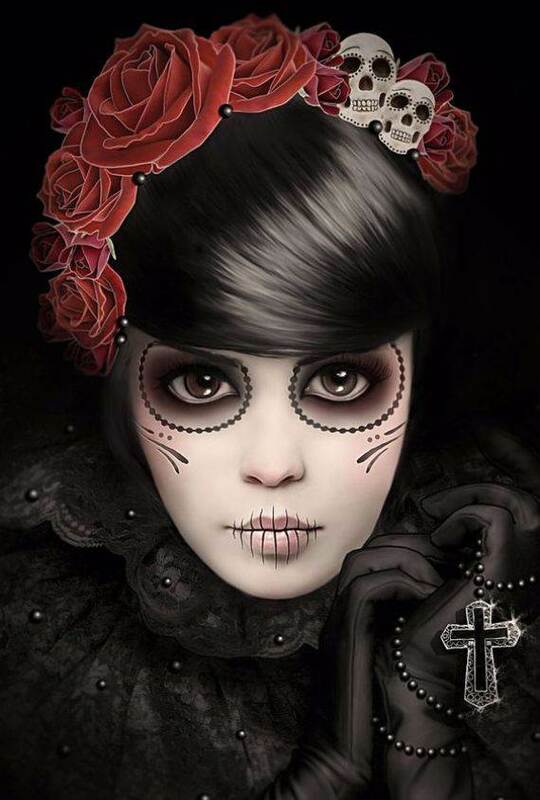 The Mexican as many other religions in many nationalities believe that death as a natural part of the human experience and there is another life after. 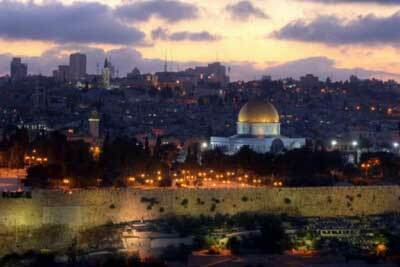 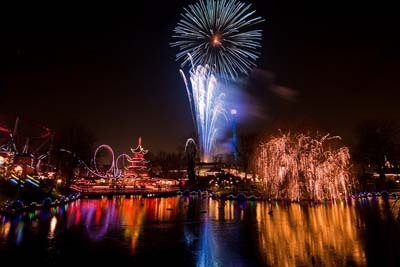 They recognize that we are living is not the end, death is part of the circle and another higher level of life is awaited in heaven after death to share celebrations with their loved ones. 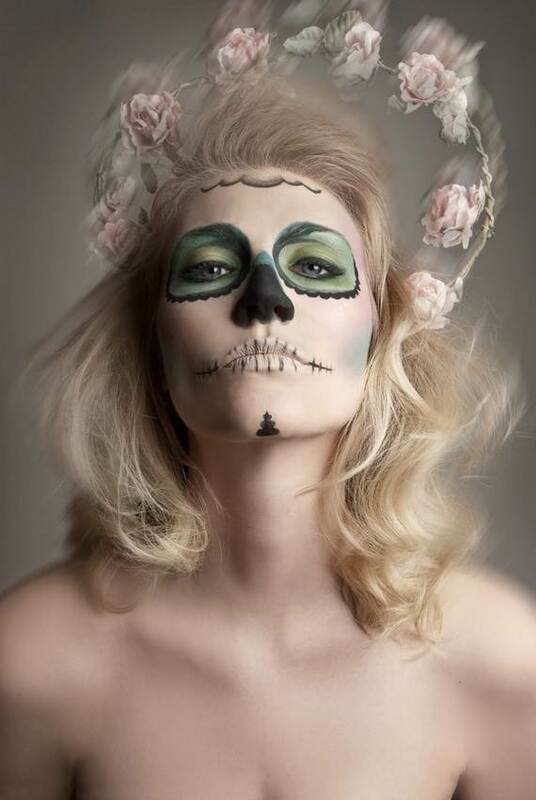 Our body mortality has no end and death is part of the journey of life, it is not the final stage in one’s life but rather a step forward to a new life came from death. 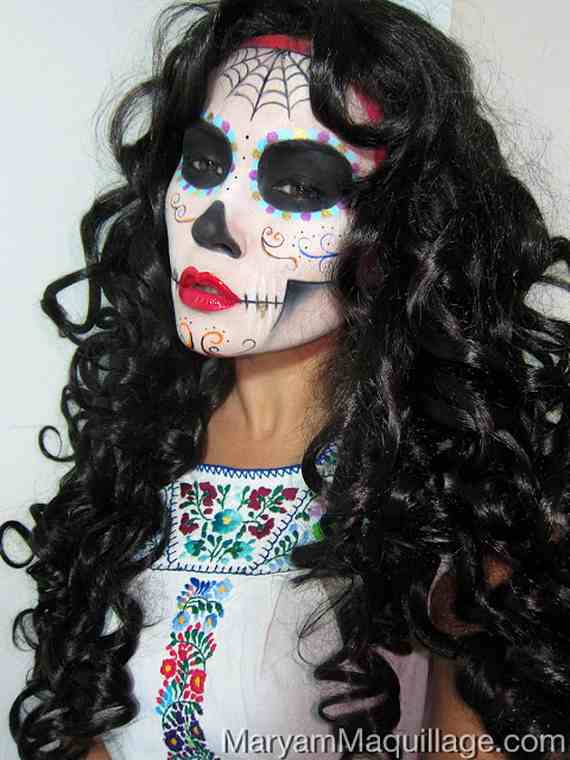 The Truth behind Sugar Skull Meaning, is knowing the meaning behind the celebration is to appreciate its culture. 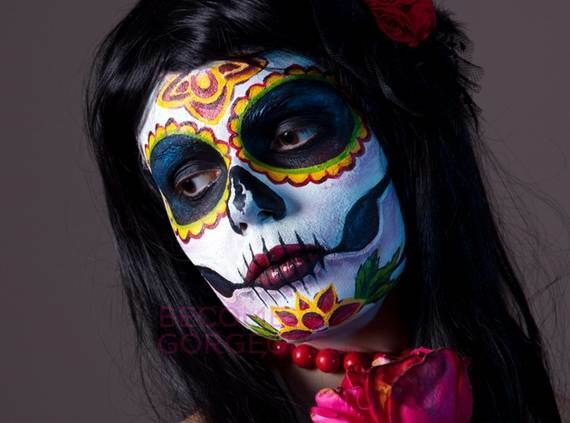 Death is seen in different ways around the world. 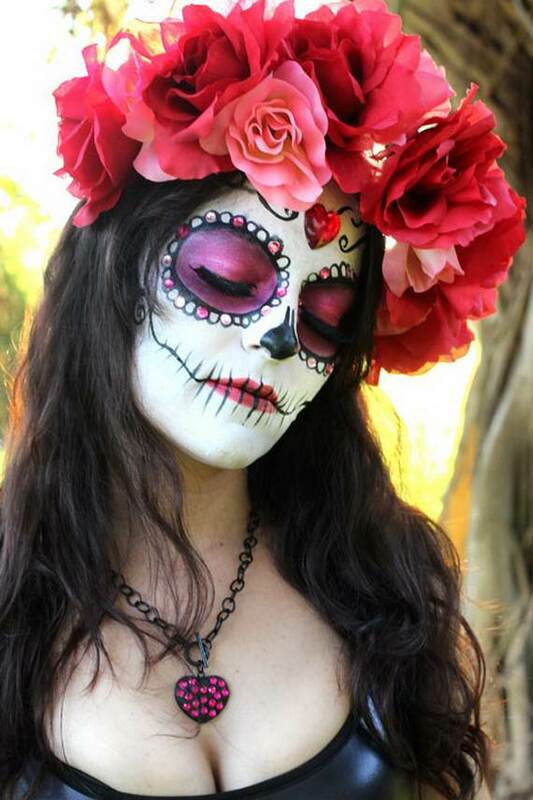 Día de los Muertos is one of the most unique and colorful holiday that can signify a life-end life, existed only in Mexico to honor their loved ones. 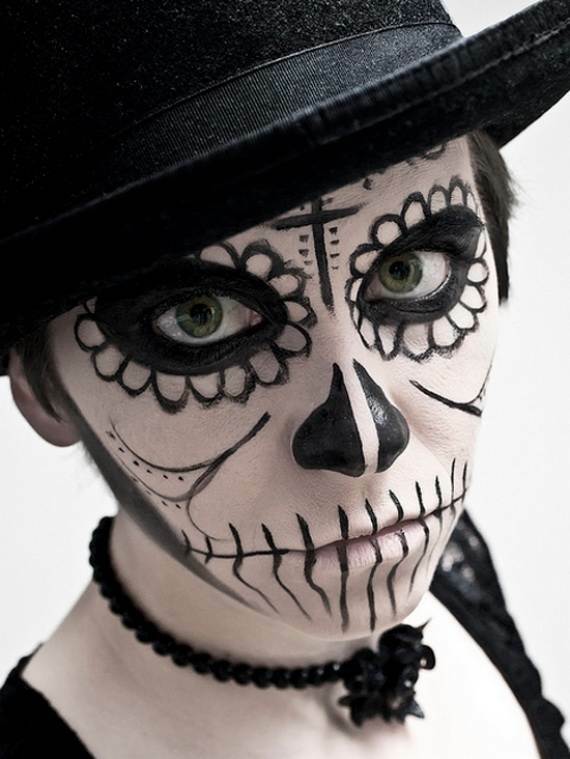 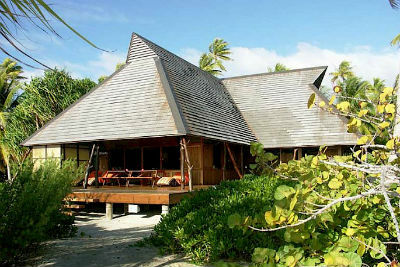 The festal is related to both death and truly a celebration of life. 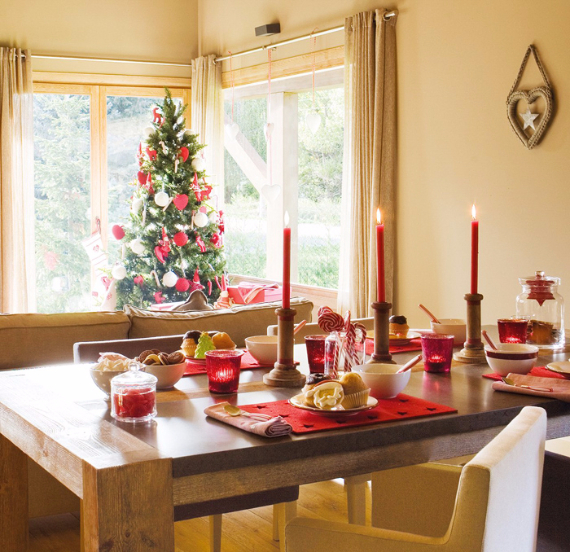 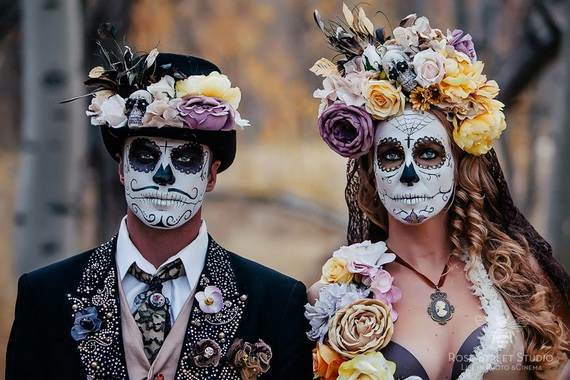 It offers colorful altars decorated with pictures of the deceased, bright flowers, candles, and their favorite items that belonged to them as a celebration for the life of their beloved who had passed away. 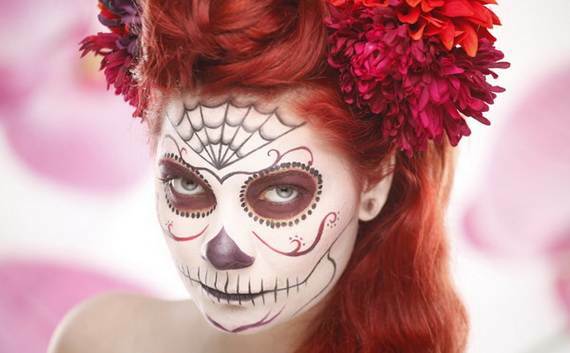 Both sugar skulls and Halloween celebrations have different origins, but both have roots in end-of-harvest celebrations of the ancient past. 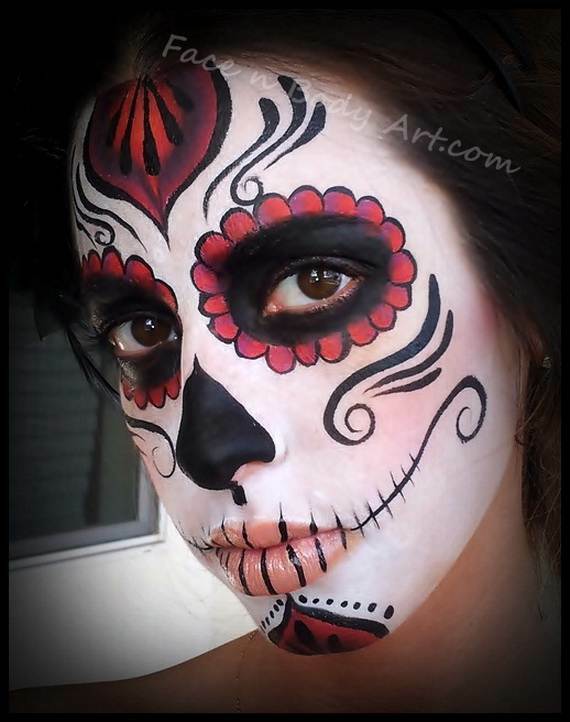 Sugar skull celebration is marked as a major cultural tradition, and the most popular symbol of Day of the Dead celebrations in Mexico. 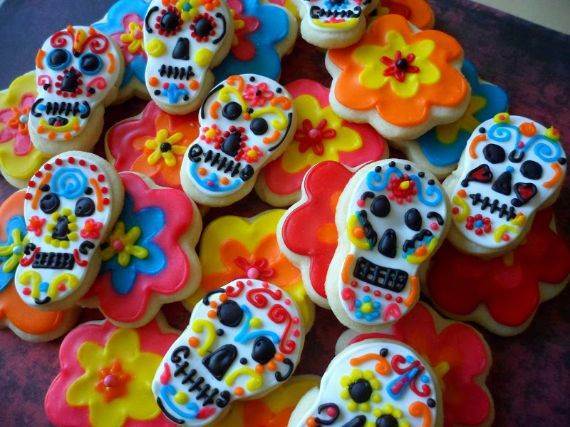 Like many things in Mexico, due to fusions of different cultures seen in the symbol of decorated skulls and edible skull shapes. 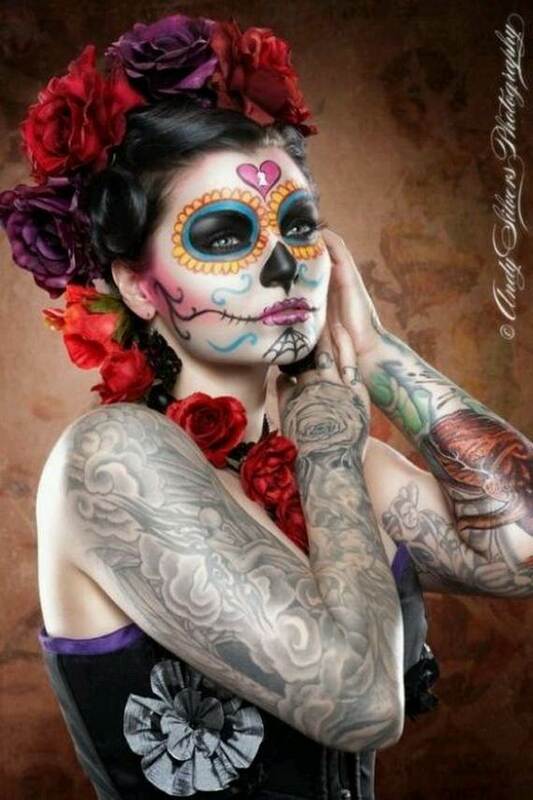 This fusion was a result of two cultures and traditions the Mexican Calavera which is a decorated human skull for the Day of the Dead La Calavera Catrina and the Spanish traditions in the form of edible skulls (sugar skull) made by sugar. 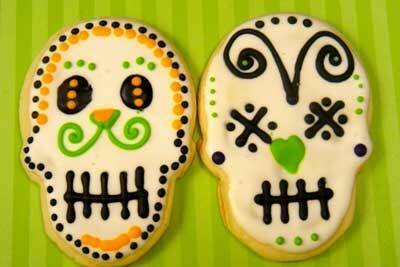 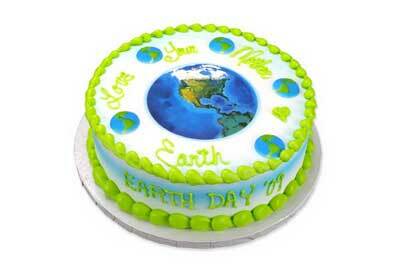 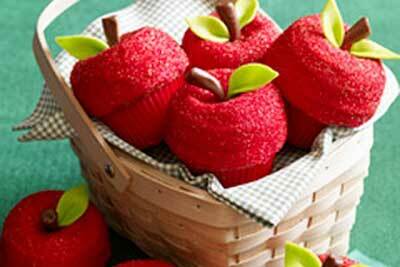 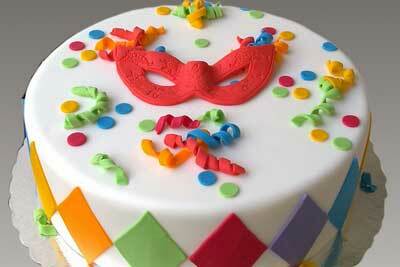 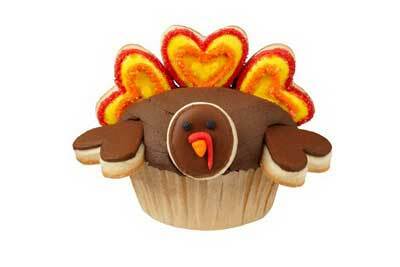 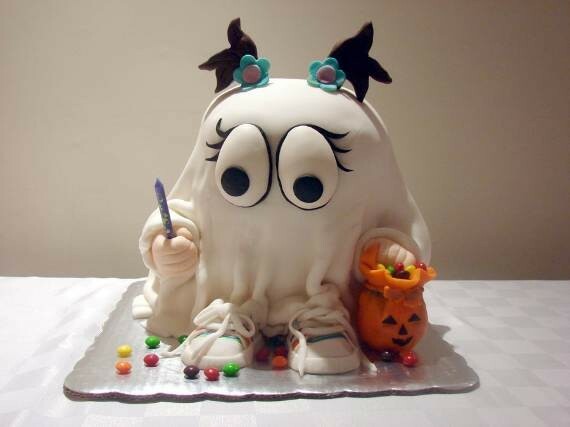 Both are the symbol celebration of the perfect mixture of spooky and sweet. 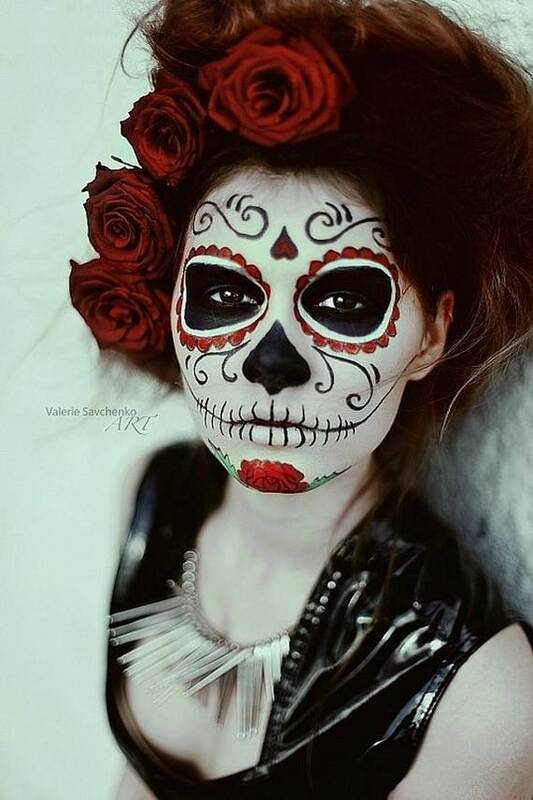 La Calavera Catrina (the Elegant Skull) also known as “Dapper Skeleton, which translates to “the lady in the hat” around 1910 is originally created the image by José Guadalupe Posada famous Mexican printmaker, cartoon illustrator and lithographer. 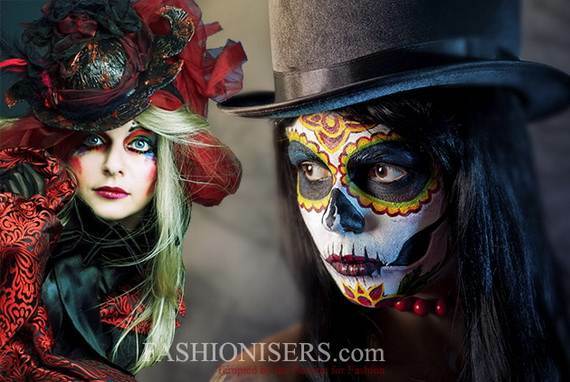 The image which originally called “La Calavera Garbancera shows an aristocratic female skeleton wearing European clothes; a large hat with flowers and dressed in the finery of a wealthy lady which many European women would have worn at that time. 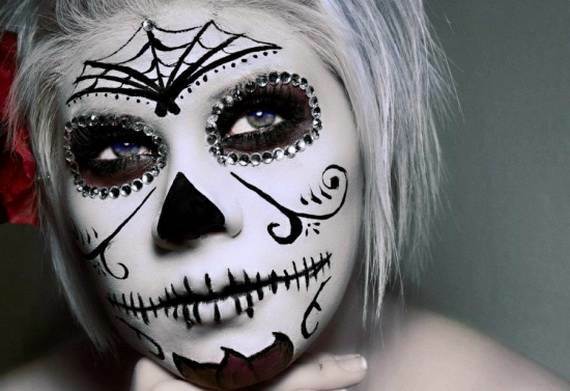 This image feathers two facts first the creation was to ridicule those Mexicans who identified themselves as European white cultures neglecting their nationality as Mexicans. 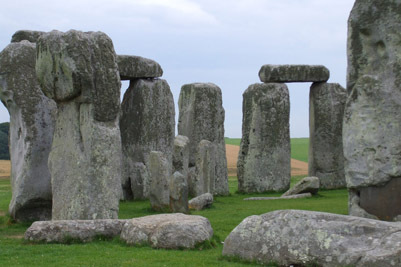 The second reminds us with our destiny. 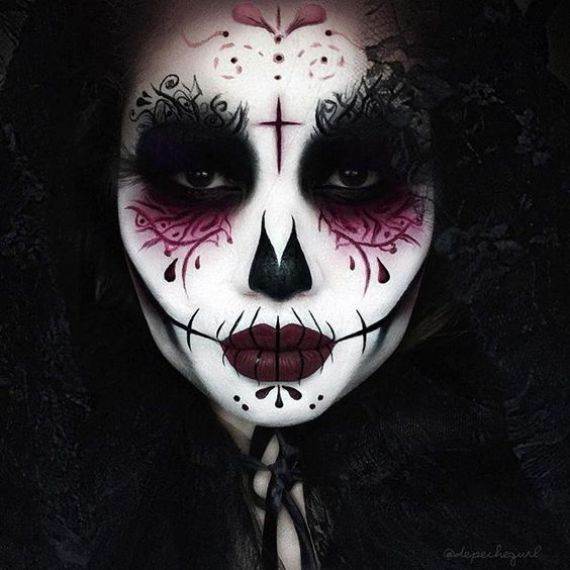 We all carry death within us and we all are after death equal underneath. 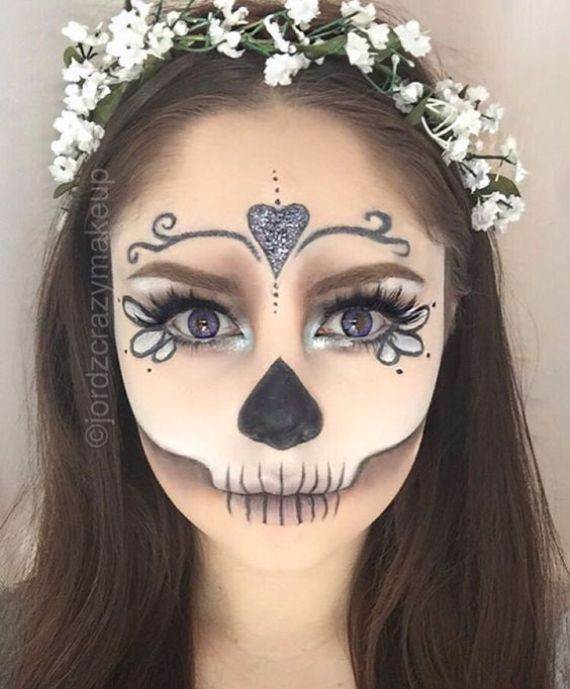 Skulls have never been acceptable as a decorated item but in our situation they are to honor the mysteries of life and death, with their elegant and feminine decorations, these elegant skulls have grown into symbol on an important tradition. 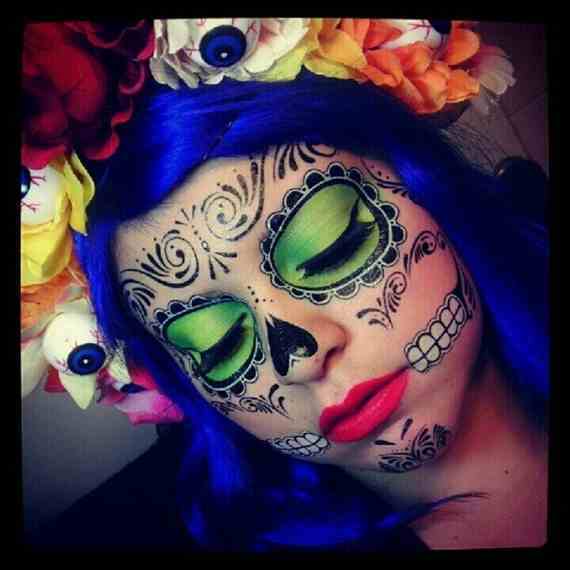 In a Dia de los Muertos sugar skull represents a traditional celebration of a life each color has its significance meaning. 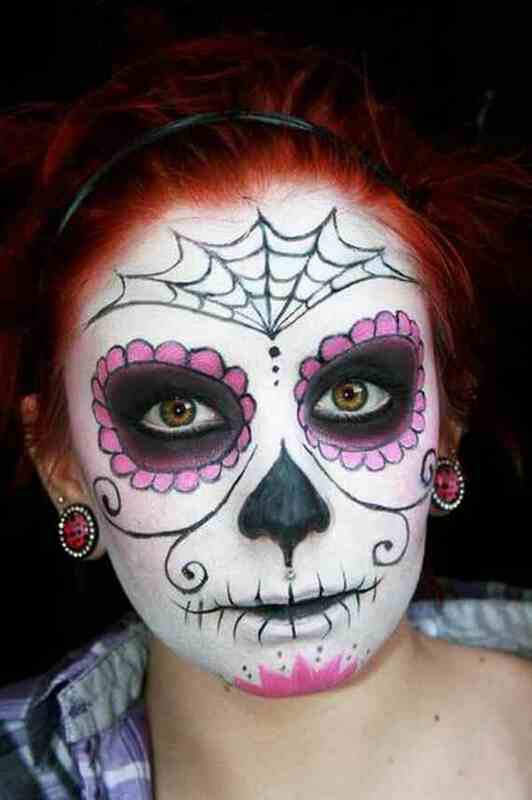 Calaveras makeups are very colorful and whimsical, not scary at all. 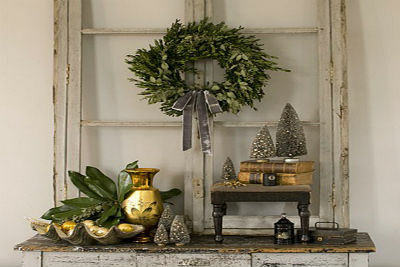 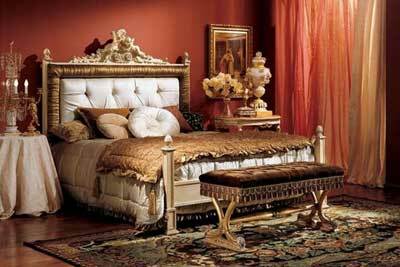 Each color is based on tradition representing something different and of crucial importance. 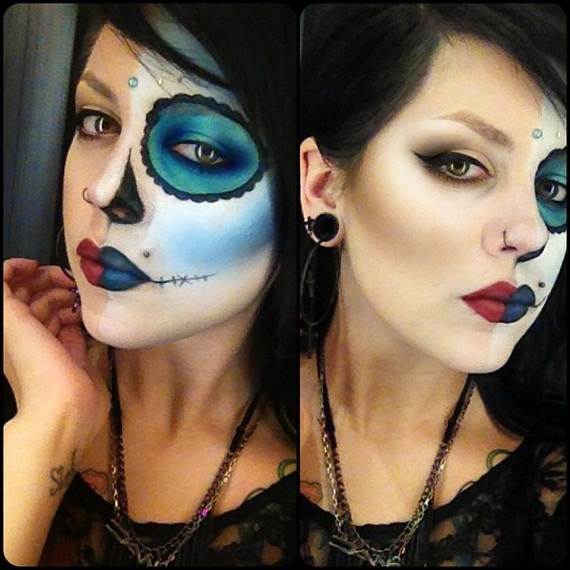 These skulls are an artwork, making the design based on one or two colors to highlight a detail of a black tat. 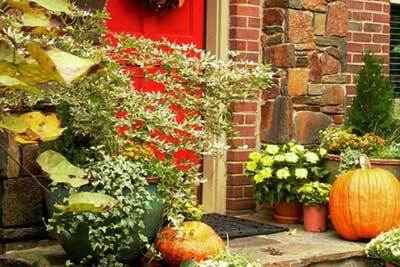 They are bright and cheerful, generally contain a minimum of four colors to significant shades to celebrate a life that once was. 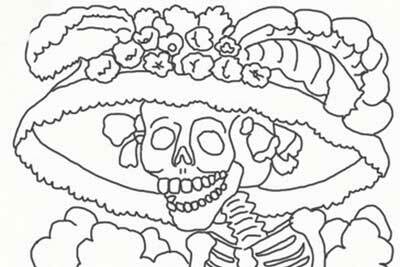 The yellow color and marigolds are symbols of death, the color of the void in Aztec mythology. 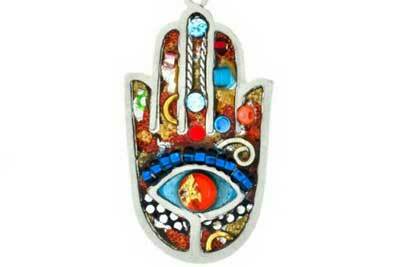 Other bright colors are used; so that the spirits can see the path to their altars which is prepared in honor. 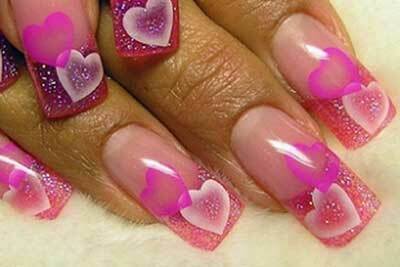 Pink – is symbolic of celebration and joy. 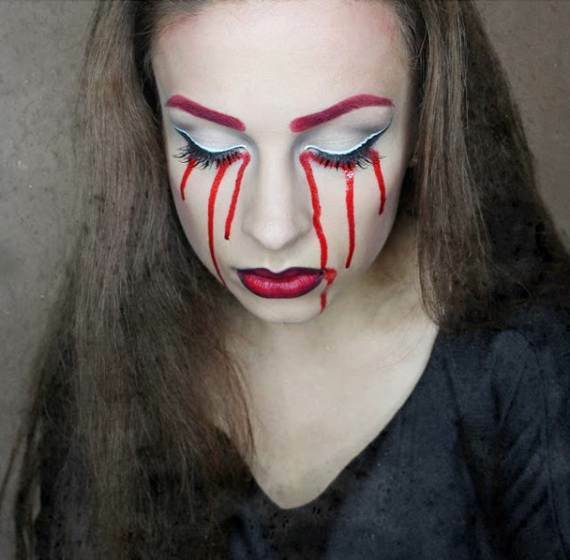 Red – signifies blood or the blood of life and a symbol of sacrifice and true love. 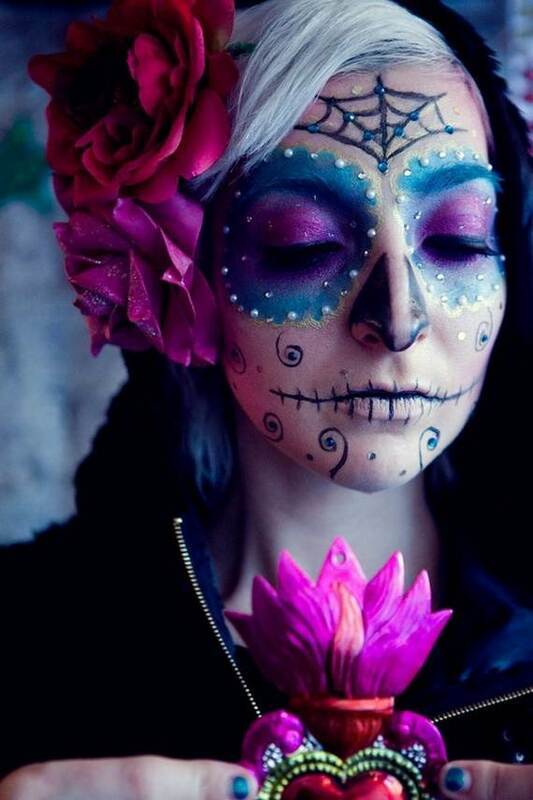 Purple or Indigo – It signifies pain, Grief and mourning and suffering, a Catholic symbolic color. 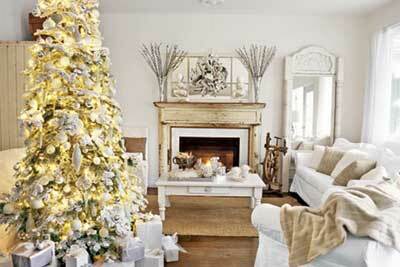 White –to signify purity of spirit, innocence, Hope and promise. 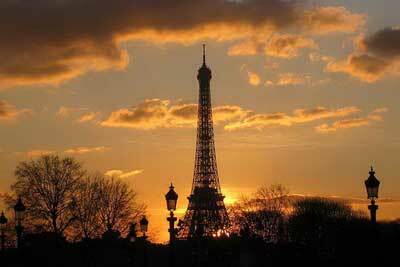 Orange –The brilliance of the sun or light that symbolize a new day. 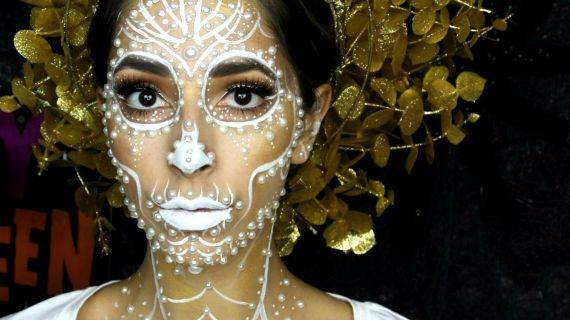 The best thing is that there is no limit in fantasy but requires painstaking attention to detail to give the stunning look and is definitely worth the hard work. 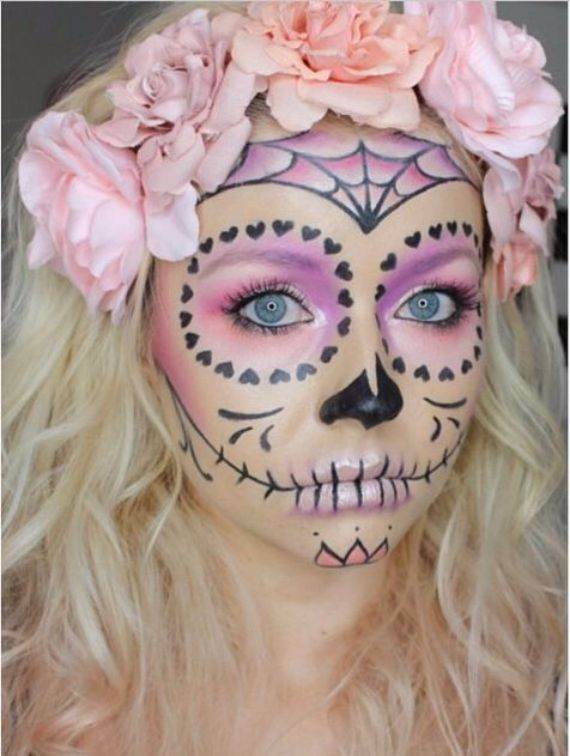 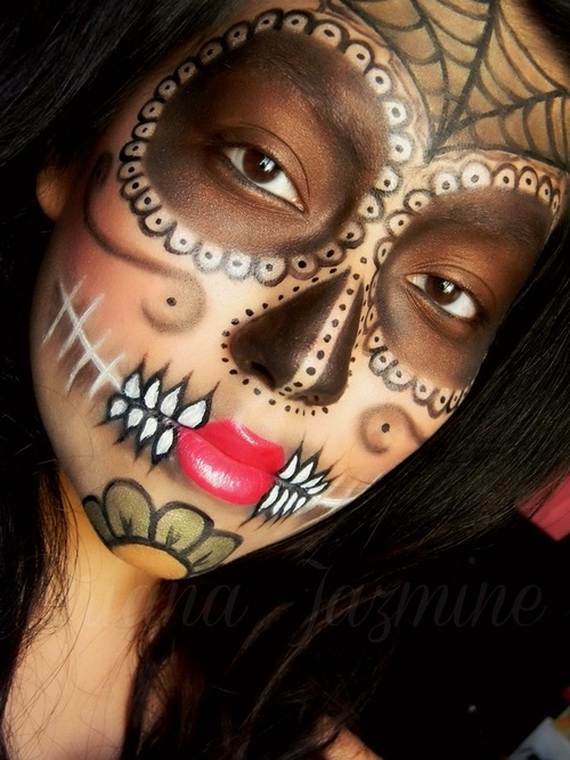 We have put together some really pretty and scary Halloween Best Calaveras Makeup Sugar Skull ideas for Women from pintrest. 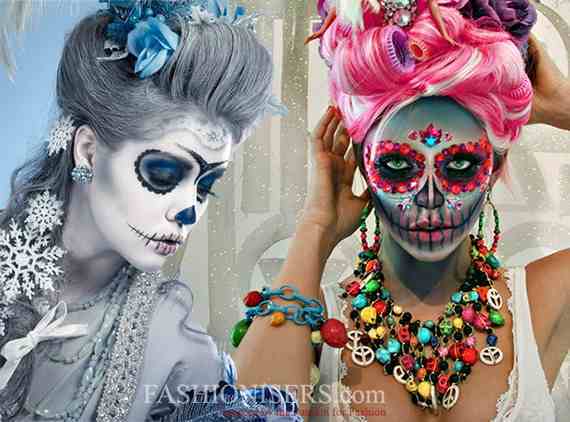 With so many color options take your favorite, the only limit is your imagination and try to create a unique look. 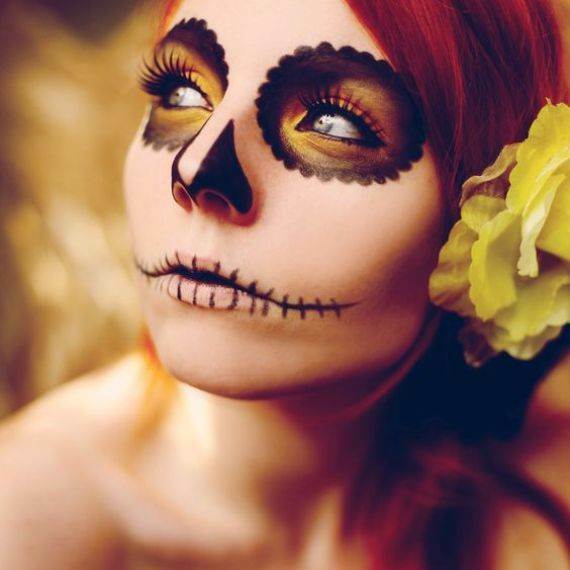 Be daring, edgy and creative on this day, have a chance to appreciate Sugar Skulls or Día de los Muertos celebrations as you do to Halloween by this will you have no chance to rest!